Introduction: Patient surrounding might work as a source of infection to patient as well as health care workers. It is therefore very important to disinfect the patient surroundings regularly using proper technique. Objective: Mostly the disinfection procedure varies from hospital to hospital, but there are few points that need to be taken care of by the hospital policy makers. Methodology: In hospitals where the disinfection work is many times handed over to the hospital attendants who are not oriented to the infection control practices, there is increased risk of errors . There are some common errors that need to be recognized and taken care of in the hospital settings. A special attention need to be placed on the infection control perspective by the person doing disinfection. 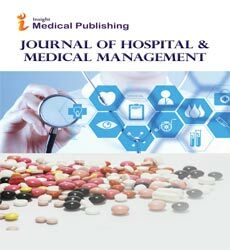 Result: An effort has been taken to highlight the management role, common errors and mop handling technique during chemical disinfection of hospital surfaces using triple basin method. Conclusion: The regular and systematic review of the procedure related challenges will ensure the better disinfection of the hospital surfaces.